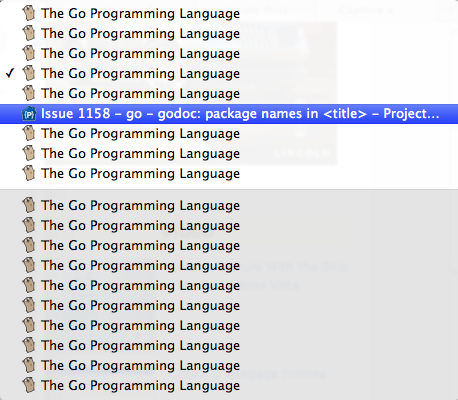 I have been playing around with the Go Programming Language recently, and one really annoying aspect is that every page seems to have the same title: The Go Programming Language. 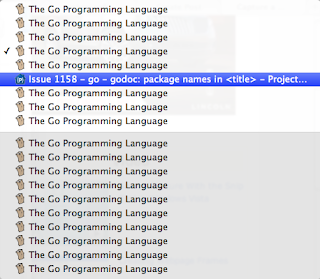 With many tabs open to different pages from the package documentation, this can make it difficult to see which tab has the content you want. Luckily, there is already bug 1158 to address the issue. We'll see how long it takes to get fixed.